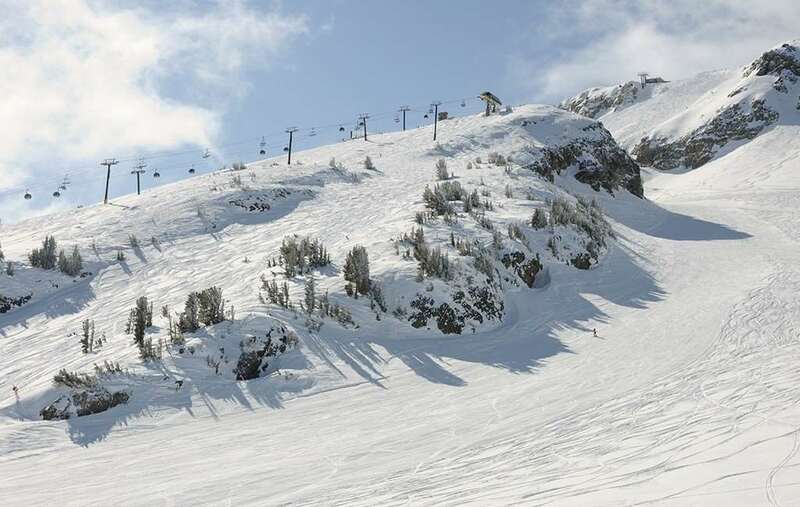 Skiing may not be the first thing visitors think of when it comes to California, but the Mammoth resort is one of the top wintersports destinations in the US. Excellent runs, superb facilities and a host of things to do await travellers in this stunning region. The scenery across the area is truly sublime, with beautiful forestry and fields flanking the multiple runs available in the resort. With a relaxing atmosphere and wonderful hospitality, tourists are sure to be impressed by this incredible ski spot. An average of more than 400 inches of snow falls onto the mountain’s summit, creating truly fantastic conditions. Exhilarating steep chutes, wide open bowls and tree skiing are all available. You can expect constant development too, with new features appearing every season. The ski season here runs from December to April, with snowmaking facilities available on much of the terrain. It also enjoys around 300 days of sunshine every year. 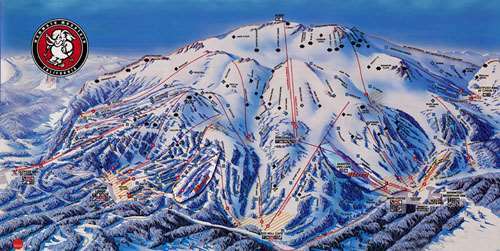 Overall, there are 3,500 skiable acres of terrain across the resort, including the highest summit in the whole of California. Situated in the southwest corner of the Long Valley Caldera, based on the eastern edge of the Sierra Nevada Mountain Range, Mammoth is an area of breathtaking natural beauty. The skiing has more than enough to offer all standards and the pistes are immaculately groomed. Powder bowls and steep chutes can also be found if you're more adventurous. There is a total of 151 runs through the resort, along with 11 terrain parks. Around 20 per cent of the routes are aimed at beginners, while 40 per cent are suited to intermediates and 35 per cent should be taken on only by experts. Mammoth Lakes is attractively set amongst the trees and where most of the accommodation is situated. It is full of hotels, restaurants, bars and shops and being an all year round resort gives it a welcoming, lived-in feel. Mammoth benefits from a lively apres ski scene, with plenty of amazing restaurants and bars to try. Sushi Rei is a great option, offering a host of delightful meals and excellent discounts. Campo Mammoth is another extraordinary eatery and provides great offers, including $50 (£38) for a four-course dinner for two people. Shoppers will find lots of brilliant gear at Mammoth Sports, where experts are at hand to ensure visitors pick up the right apparel for their needs. On the other hand, Mammoth Memories boasts a vast selection of souvenirs, ranging from T-shirts to toys, so you can collect some lovely gifts for friends and family back home. Mammoth mountain is home to some beautiful alpine chalets, hotels and guesthouses including the newly built The Westin Monache Resort luxury hotel equipped with a heated outdoor swimming pool. In the heart of the village is the luxurious Village At Mammoth hotel with whirlpool spas for deep relaxation after a long day on the slopes. Mammoth Mountain Inn is the only ski in ski out hotel in resort where panoramic views of the snowy pistes can be enjoyed from the heated outdoor swimming pool which overlooks the Californian mountains. Juniper Springs Lodge has it's own ski rental shop on site with outdoor spas and pools so guests can feel relaxed after returning from the pistes with top class hospitality and service. Situated in California, the nearest gateway airports are Los Angeles or Reno in Nevada, so it is easy to combine a skiing holiday with other activities such as gambling or visiting Disneyland.